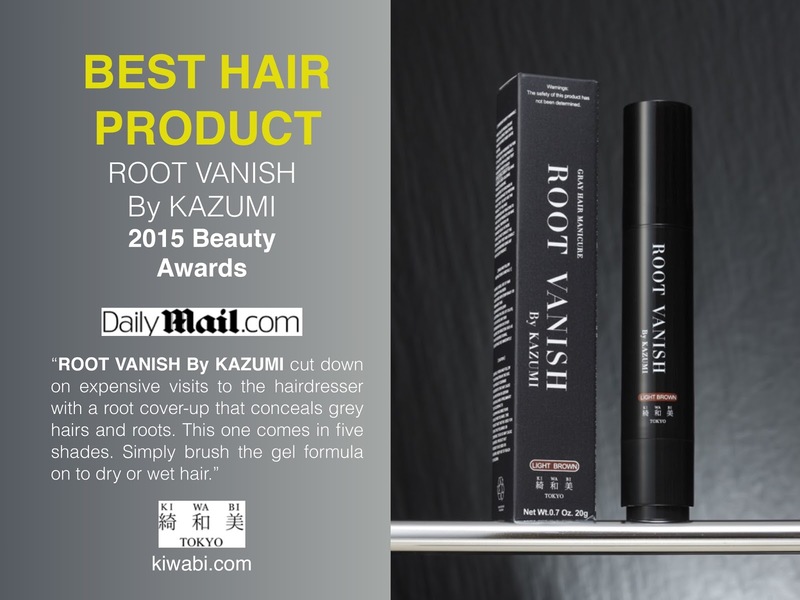 Introducing to my gorgeous readers Root Vanish by Kazumi. I'm so excited about this product that I am about to share with you. 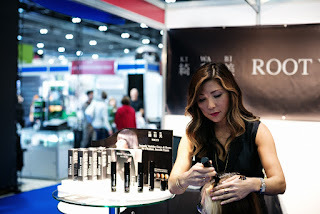 I basically discovered this amazing product from stunning LA based celebrity hairstylist Kazumi Morton, and was kindly given a media discount code to try her products courtesy of Kiwabi's UK Sales Management team. The biggest question I have is why am I already seeing grey hairs in my early 30's? My Momma went grey very early, so genetically I'm assuming I'm destined to also. Thanks Ma! But no seriously? I don't even have to worry anymore thanks to these products. I also dye my hair regularly jet black and my natural colour is dark brown, off black or colour 1B. So you've guessed correctly in thinking that essentially, I'm looking for a product to make my stray grey hairs vanish, and a product that I can also naturally dye the colour of my hair to black without harsh chemicals, which can damage the hair. I've tried so many natural-based products, such as henna, and Clairol's Professional Beautiful Collection which are semi permanent dyes for relaxed hair, a specific range for Black women. Root Vanish by Kazumi is definitely the best hair product there is for colour treatment and touch ups. Leading UK publication The Daily Mail voted Root Vanish The Best Hair Product of 2015. Like a smooth manicure coat, our best selling temporary hair touch up colour flawlessly covers greys while making hair look healthy and radiant. Packed with 22 botanical extracts that hydrate, strengthen and treat the hair, our Colouring Brush is an elegant everyday solution to maintaining eternally youthful looking hair even in between our colouring appointments. The perfect at-home solution to gently and naturally cover greys while floral, fruit and plant extracts hydrate, protect and rejuvenate your hair. No silicones, no parabens, no fragrances and no irritable ingredients. Just luminescent gorgeous hair that looks natural, youthful, and feels silky soft — all the time. I recently noticed that Boots stock the touch up brush, but the colour treatment is hard to find in UK stores, so your best choice would be to order both directly from the official UK Kiwabi website. The root touch up brush comes in a classy little black velvet pouch. I hardly use the brush because I find that the treatment works brilliantly and lasts, and is gentle enough to use at home as little or as often as you need to. Check out the clean, informative, easy to follow videos on the official site to see how the products work. Subscribe to the Kiwabi monthly newsletter for future info and hair product releases. You will definitely be very impressed!